Fall is coming on hard these days. It’s is all about sweaters, boots, and pumpkin spice (though I prefer chai). As the weather gets cooler I’m taking the time to enjoy the last of the summer produce. Things like tomatoes and summer squash are making their final appearances at the market for the season. There is nothing like a fresh, well-grown tomato. Those grocery store tomatoes you find in the winter just do not compare. I like to do my best to stock up on these vegetables in the form of canning and freezing. If you follow me on Instagram you’ve been seeing these in my stories. For things like zucchini and summer squash, I tend to shred them and freeze them. This way I can integrate them into bread, soups, and the like. If we are being honest, we don’t love zucchini or summer squash, so the shredded versions are a little more palatable (I.E. Chuck can’t tell that I added it). I like zucchini well enough if it’s heavily marinated, but once it’s been frozen the mushy consistency kind of ruins even that. Thus, we stick to shredding in our house. STEP 1: Wash the zucchini and trim the ends. Remove seeds if desired (I do this with really big zucchini, as this is where a lot of the water hangs out, but you absolutely don’t have to). STEP 3: Let the shredded zucchini sit in a fine mesh strainer for about 20 to 30 minutes or squeeze out excess water with a paper towel. 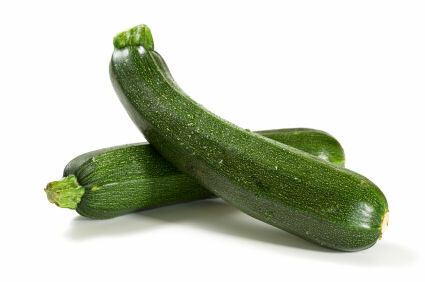 STEP 4: Measure out the shredded zucchini into desired portions and place in a labeled storage bag and freeze. (A lot of people use 1 cup portions, but I like 2 cups because that’s what my favorite zucchini bread recipe calls for, and it uses fewer storage bags). To use: Thaw to room temperature. Squeeze, or drain excess moisture out (again) and use as desired. Pro Tip: Use a food processor. I have this one and use the fine shredding blade attachment. Believe me, it makes all the difference. I was able to get through 4 giant zucchini (totaling 10 cups in about 20 minutes including trimming). While I was in the process of shredding all this zucchini I figured I might as well fry some up for lunch. I mean why not right? These easy fried zucchini cakes only require 5 ingredients and a few minutes. I don’t make zucchini cakes (or fritters) often enough. They are so easy and delicious for such an unloved vegetable. I mean really you make pretty much any vegetable into a friable patty and it’s probably going to be delicious. As far as toppings go I used apple butter, but I know a lot of people prefer sour cream. They are crazy. Its apple butter all the way. You could also whip up a spicy mayo, or salsa as well. They make a great appetizer, lunch or side dish for dinner. I’ve also stacked them before with burgers and spicy mayo and avocado as a kind of low carb stack. It was delicious. Coat a large skillet with a layer of oil, and preheat over medium high-heat. Meanwhile combine all ingredients in a medium sized bowl, and toss well to mix. With your hands take a golf ball sized scoop of the zucchini mixture and create a thin pancake, about ¼ inch thick. Place it directly in the pan. Repeat with the rest of the mixture (you may need to do this in stages so as not to crowd in the pan). Cook the cakes until they have crisped, about 2 to 3 minutes. Flip and cook again until crisp, about 1 to 2 minutes. Remove the cooked cakes to a paper towel lined plate to drain. “Heavenly Zucchini Salad Recipe” from Taste of Home – Google it up. I’m not a big fan of the squash family either – but this I can tolerate. Tks for your Website, Rgr.K. Thanks for the suggestion. I’ll definitely take a look.